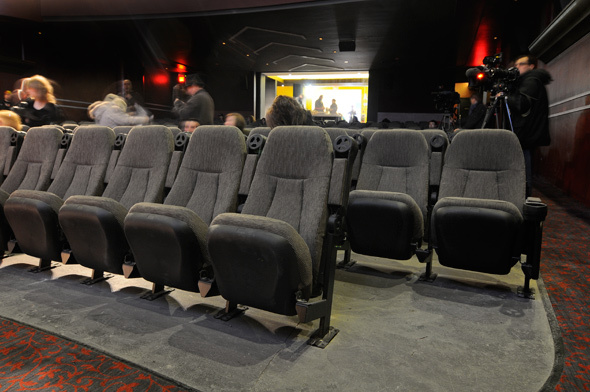 The new Bloor Hot Docs Cinema had an unveiling of sorts today, as media were granted access to have a look around prior to the grand (re)opening on March 14. 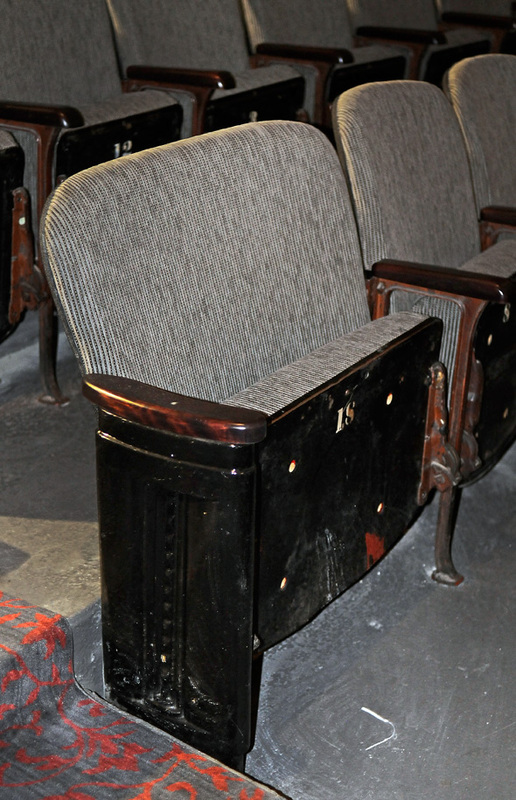 Amidst the the construction workers, ladders, and various tools lying around, there are plenty of signs that point to the fact that this has been a sensible and caring update to the nearly century-old movie house. 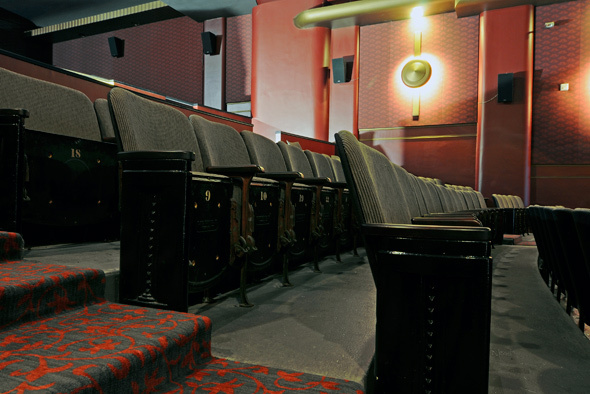 While numerous technical improvements have been put in place, the historical character of the cinema was clearly at the top of Hariri Pontarini Architects' mind when going about the renovation. 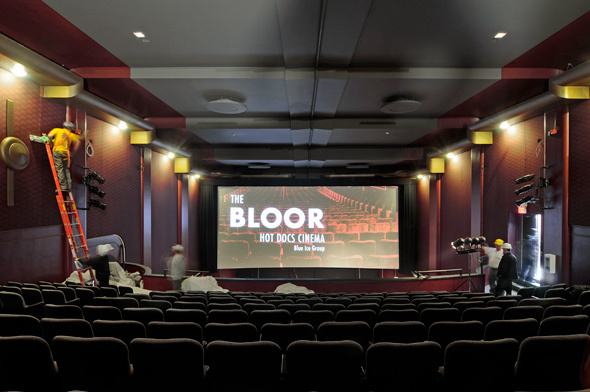 Opened in 1913 as the Madison Picture Palace, what will now be known as the Bloor Hot Docs Cinema has taken many names and forms in its day, but has always remained a theatre of some sort. 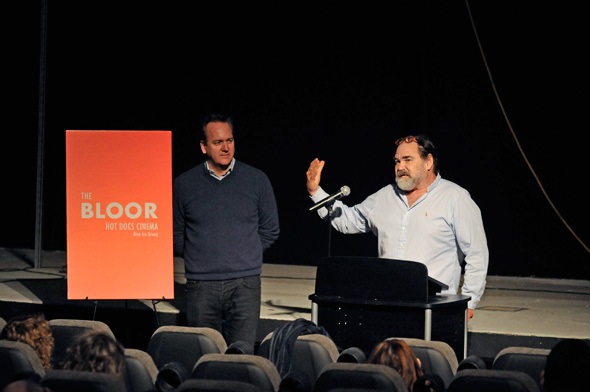 Kudos goes to Chris McDonald of Hot Docs and the Blue Ice Group for ensuring that it will continue on in this capacity. I know that not everyone is jazzed about the doc-heavy programming, but subsisting as a second-run rep cinema just wasn't in the cards. 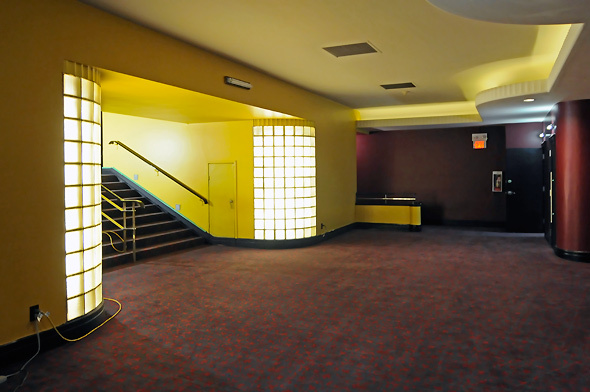 The expanded lobby, which now features a glass wall that looks onto the theatre, should make the Bloor more event friendly than in the past, though I worry that light from this feature could prove distracting to those who find themselves near the back of the main section of the cinema. 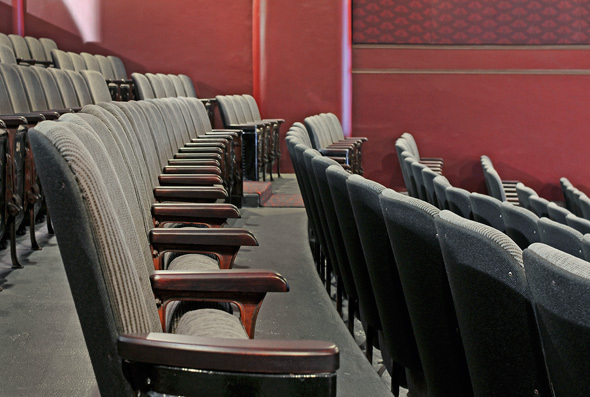 As was the case in the past, noise from the lobby area also carries into the theatre area a bit too easily, but let's not get too nit-picky. 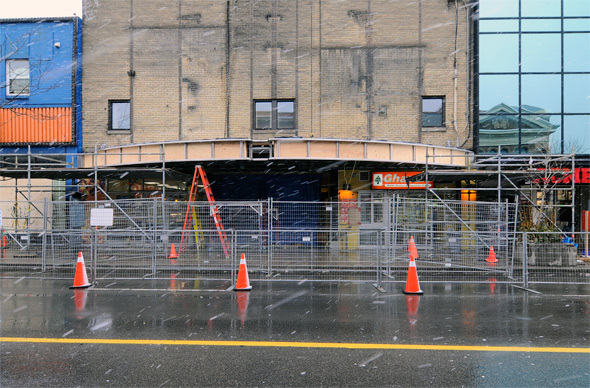 While there are still a number of crucial projects to be completed in the roughly two week period before the Bloor is set open its doors — namely, the concessions stand and the exterior of the building — the work that's been done to improve the film-watching experience has been extensive. 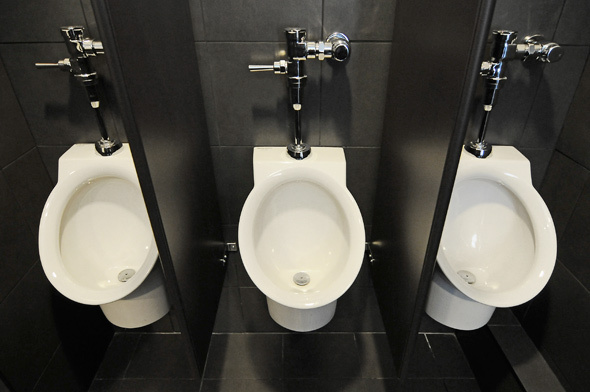 It might not compete with the TIFF Lightbox as far as amenities go, but this will be a fantastic place to watch a movie.